Vampires and Werewolves and Witches oh my! What’s scary swirling over your head? This thing. 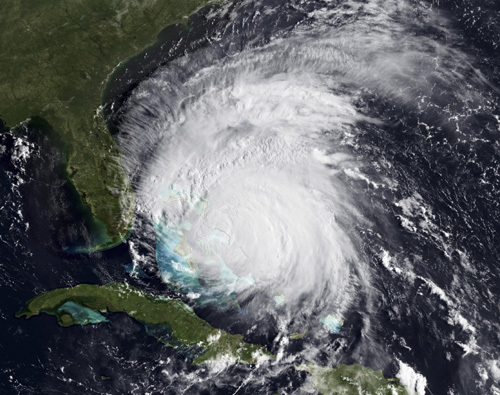 Hurricane Irene is not a nice storm. 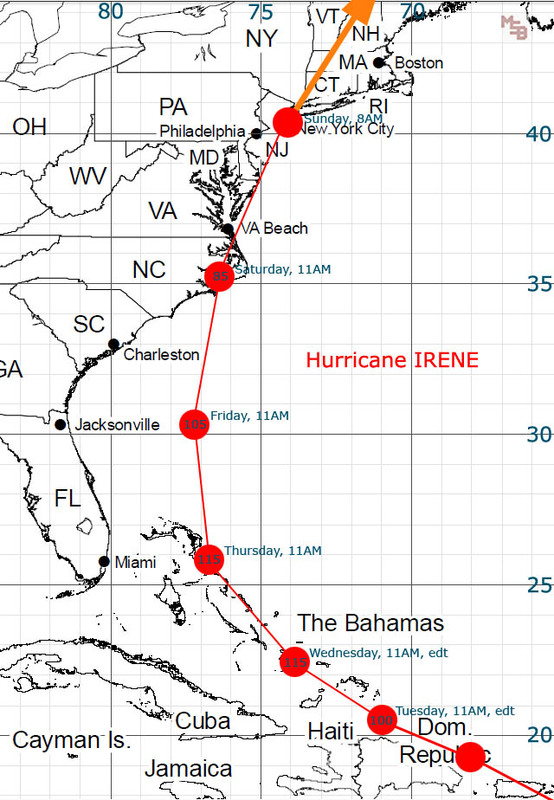 A name like Irene is far too ladylike for the pummeling that the homes surrounding me took from punishing winds and heavy down pours of rain. It should have been called “Hurricane Oh My God Don’t Let That Giant Tree Limb Hit My House”. (Perhaps it actually turned out to be a tropical storm with hurricane like gusts, I’m not sure due to hearing different things, it doesn’t matter it just was scary.) The aftermath was a mess of ancient trees laying across major roads, dormant power and telephones lines hanging askew from their perches and rows of neighbors standing at the local firehouse trying to determine when aid would be reaching their homes. Not the best way to spend a Sunday. My family in a way was one of the lucky ones. Sure it took seven days to regain power and running water, but there were families not only in Connecticut, but other states that lost their homes/lives to the brutal storm. While we lost everything in our refridgerator and freezer, we had a plan in effect (and charcoal grill) to keep us fed and we stocked up on water to keep us hydrated. Plus, most importantly, we have loving family and friends that helped us with their support that kept us strong as our tempers were getting hot and our patience was wearing thin. This led me to make some hopefully make some observations about life. Nah…T.V.and movies. I am not that deep, when trying to find ways avoid eating the cans of SPAM we bought. Plus, what else are you going to do when wearing a special flashlight hat at 8:00 P.M. and trying to stay awake. Play board games and have an intellectual conversation? Ha! We did that the first three nights! I love this idea better! The Secret Circle: There is always room for something new. Something new that you liked reading when you were a teenager! Plus Kevin Williamson is doing it and Vampire Diaries is fantastic! Plus I like witches! 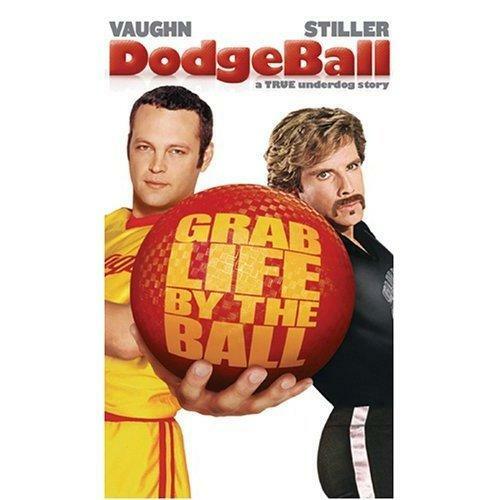 You just knew I was going to watch this! Twilight: Breaking Dawn is coming, so I had briefly thought about watching the earlier movies on the portable DVD player. Then the realization that I would have to explain WHY I like them. I chickened out. Every explanation I try just goes entirely wrong and makes the whole series sound unintentionly creepy in a bad way. Yet it always ends with me saying, "I know it doesn't make sense. Can't I just love it anyway?" Giggle, giggle. Ben Stiller. Giggle, giggle. These are a few of my favorite things...Walberg, Stratham, Green, Mos Def and Minis...oh my! 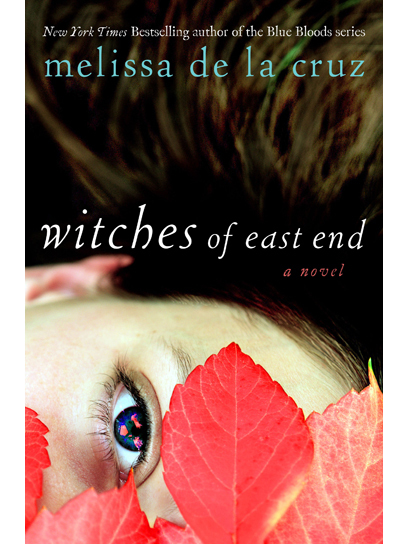 I also started reading, The Witches of East End: A brilliant book by Melissa de la Cruz! I want it to be the next book club selection after we FINALLY discuss A Discovery of Witches! Add it to your fall reading list! If you love Twilight, Discovery of Witches or Outlander, you'll love this too! We need to chat about it! Hopefully, Talk Supe is back on track! (And WC Stacey gets a little let up in all her work!) We want to hear all of your comments (because we love them!) Have something funny about this silly stuff you want to share? Send us a guest post! talksupe@gmail.com and follow us on twitter @talksupe! This entry was posted on September 6, 2011 at 10:05 am and is filed under EC's Random Musings, Supernatural TV Show, Talk Supe Book Club, True Blood, Twilight, Uncategorized, Vampire Diaries, Witches of East End with tags True Blood, Twilight, Vampire Diaries. You can follow any responses to this entry through the RSS 2.0 feed. You can leave a response, or trackback from your own site. I read “Blue Bloods” by the same author as that witch book, and I do like the Secret Circle books, I’ll have to check that out. So. Excited about the return of The Vampire Diaries. Love that show. Best example of the show being better then the book. and don’t worry about justifying Twilight, we understand. There’s just SOMETHING about it. We’ll have to leave it at that! I’m already missing True Blood:(. 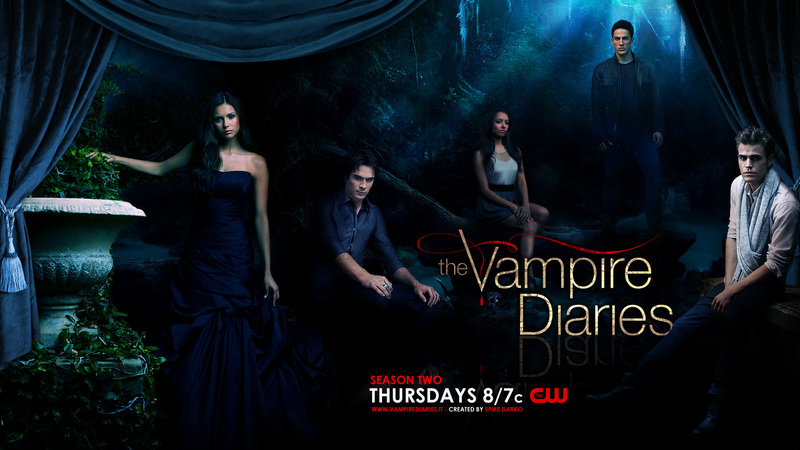 At least Vamp D new season is upon us! Oh Stace- I’m Team Erik. Sorry but he’s HAWT!! !